I don’t know if it’s due to it being March first or due to the relatively warm and sunny weather today, but I have had energy to spare. And let me tell you – that never happens. I don’t think I can even remember a time when I couldn’t use a serious nap. Probably sometime before Emily was born. The bus is home safe in the driveway as of Friday evening. We had it parked in a lumberyard – type lot until the snow cleared out enough to bring it home. Our driveway is kind of long, skinny and winding so it was a challenge for me to back it into its designated spot. The mud did not help. Neither did the failing light, lack of visible markers to reference for maneuvering, or the yelling between the spouse and I. You are all glad you weren’t there. Trust me. 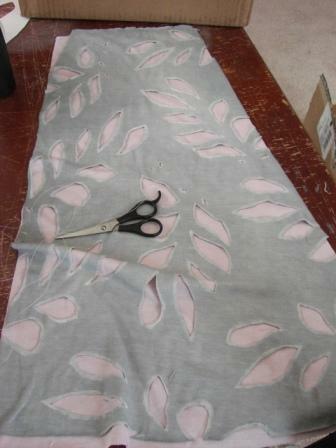 This one’s another skirt. I also have an Oliver & S pattern for a dress for Neve for Easter. Honestly, even I’ll be impressed if I can actually pull it off by Easter, energy burst or no. Besides, today’s energy burst mostly took a foody form. I cooked and baked my big backside off. 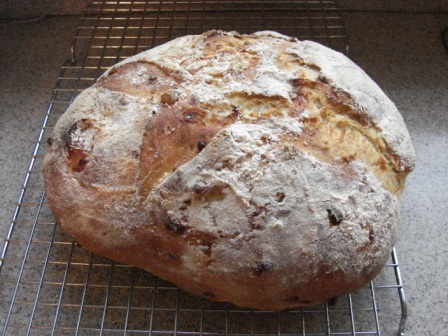 Vermont Cheddar bread to accompany the spinach, green apple and goat cheese salad we had for dinner. 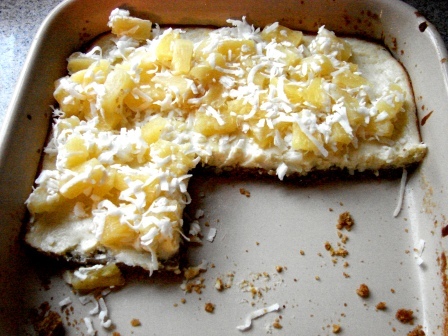 Pina Colada Cheesecake bars. Along with the Orange – Chocolate Bread Pudding. Just ’cause. 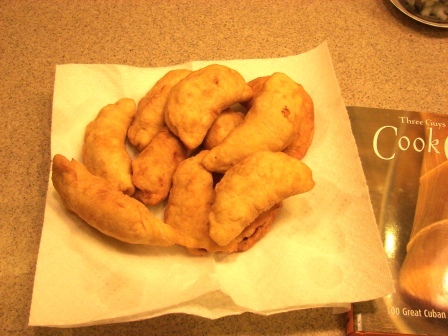 Cuban Chicken Empanadas for tomorrow’s lunch. 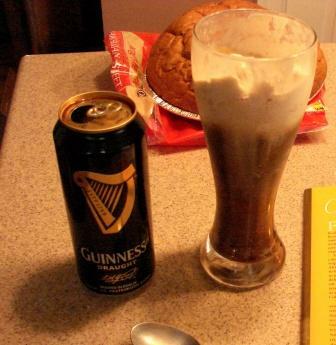 Stout and coffee ice cream float. So good I can barely stand it. It’s for all of the above reasons that ME + Bathing Suit = Not Good. It’s also the reason my feet are killing me right now. Hopefully I’ll sleep better tonight after all that work. If Oona will let me. She’s running around today with a new ‘do. 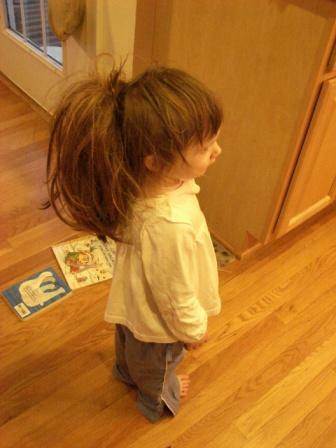 Check out how long and thick her hair has gotten!!!! Um, no. 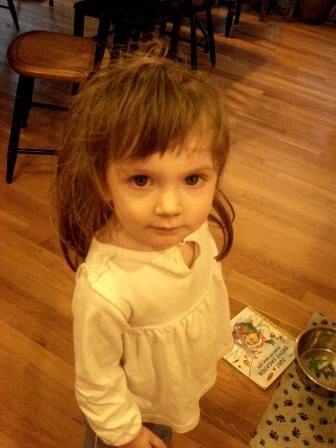 It’s an old hair extension of mine that she found. It doesn’t quite match my hair anymore so I just let her play with it. If only she hadn’t given herself a baby mullet. If ya pin that thing a bit higher on her head nobody will notice her “hair cut”.